Thank you so much for including my readers here at Tales From A Southern Mom, I love this iron, it would be awesome when we do sewing projects. Oh, that’s easy to answer. I HATE IRONING! I love ironing! I do a lot of sewing, and pressing seams gives the items a more professional look. Thanks for the giveaway! There are people who like ironing? I really hate doing it but alas, it must be done. I’m definitely NOT a fan of ironing. 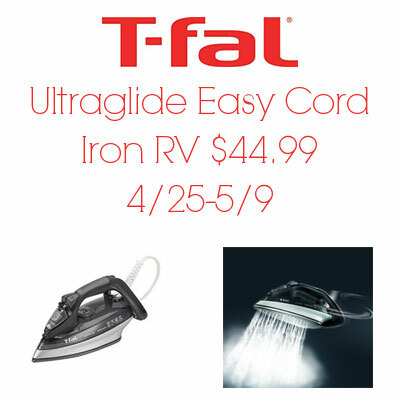 With this iron, it may make this task a little easier. I don’t mind ironing that much. But I do really prefer having my shirts nice and clean! I take spells of loving to iron and then I have those times I hate to iron. I guess it is a love/hate relationship. I’m actually a lover of ironing. to be truthful, I hate ironing but anything that makes it go quicker and easier is a big plus.